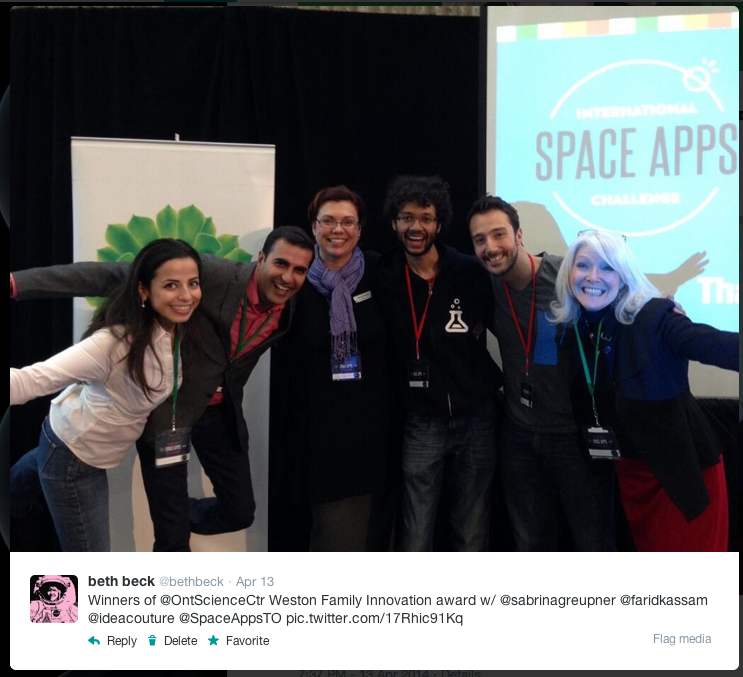 Space Apps 2014: It’s a Wrap! 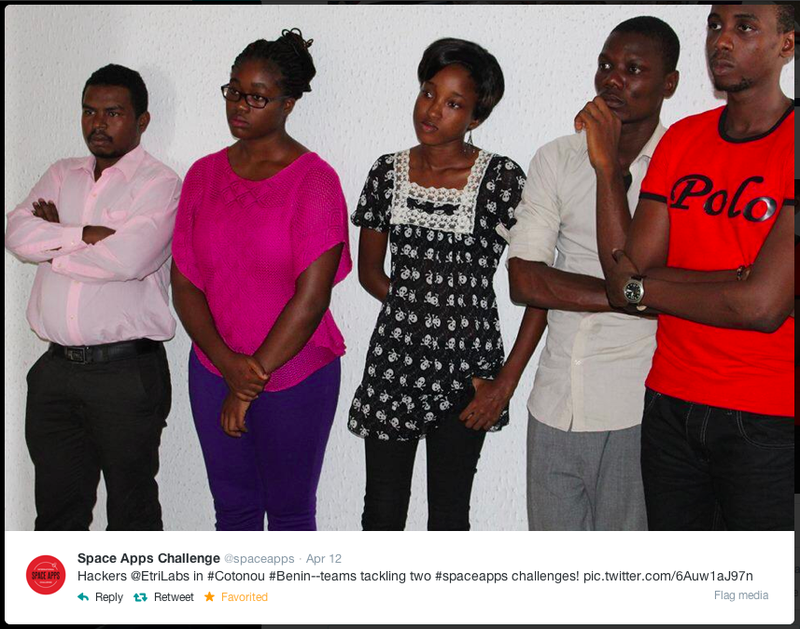 The 2014 International Space Apps Challenge took place last weekend. 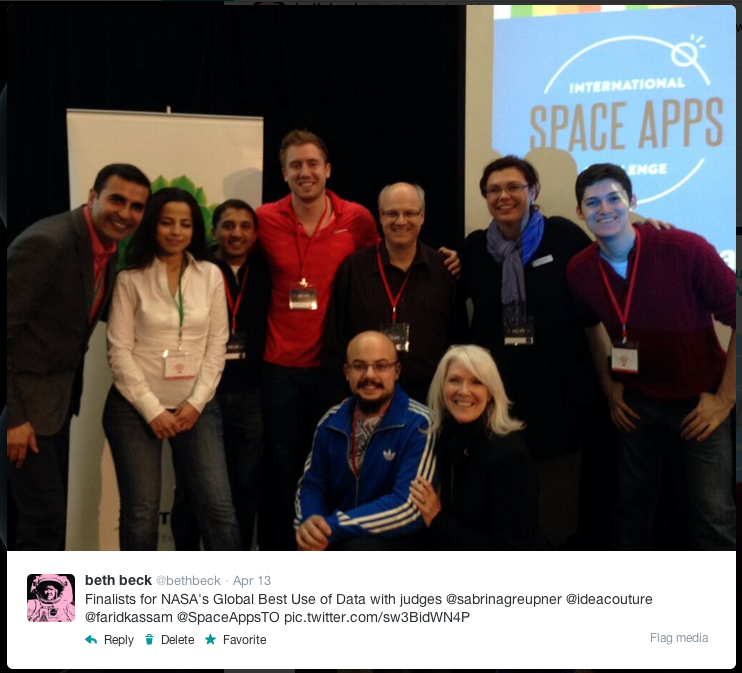 Over 8000 humans in 95 locations around our planet joined together to leverage NASA data to solve global challenges. So many stories, so little time. 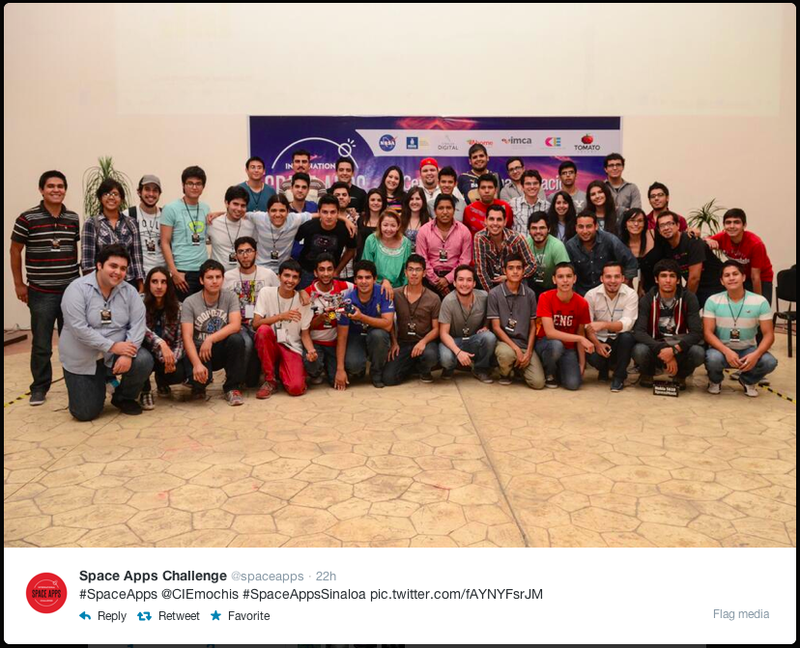 Below is a collection of tweets that help characterize the international flavor and collective enthusiasm generated through NASA’s International Space Apps Challenges. Images tell the story better than words can. I planned to only share five-ten images. Scroll down and you’ll see that I didn’t quite keep to that number. Find yourselves in these images. I’ll bet you’re in one (or more) of them. 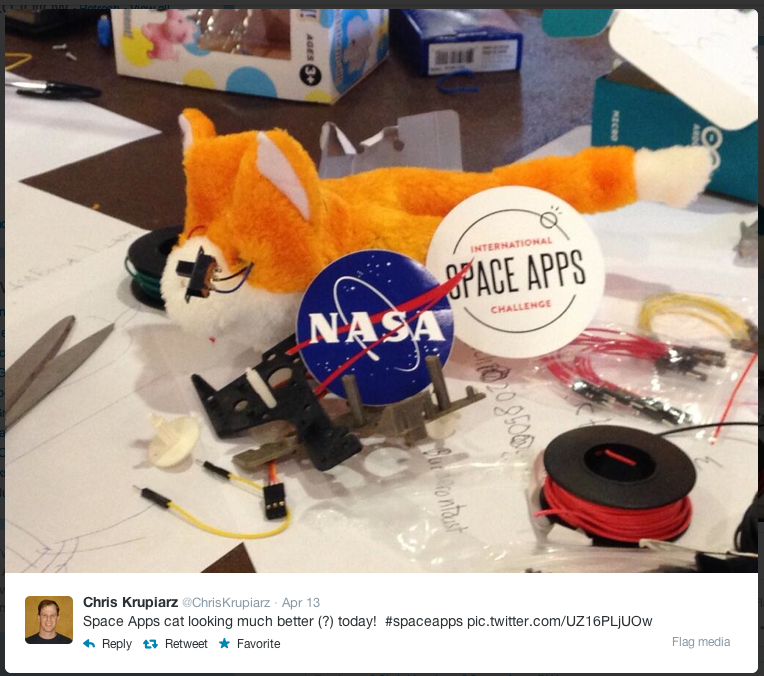 Local hosts prepared for months to welcome participants: cool venues, name tags, goodies, tools, and hardware. 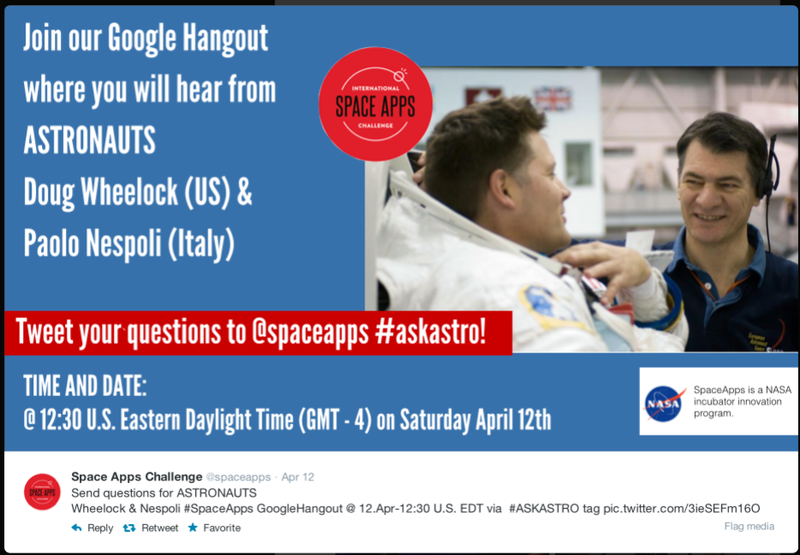 We had Google hangouts and talks by space pioneers: astronaut Doug Wheelock from NYC, former astronaut Don Thomas in Baltimore, European Space Agency (ESA) astronauts Paolo Nespoli from Brazil and Luca Parmitano from Rome, and space tourist “astronaut” Mandla Maseko in Dakar, Senegal; Lome, Togo, and Pretoria, South Africa. The participants formed teams around challenges in five mission priorities: asteroids, Earth watch, human spaceflight, robotics, and space technology. 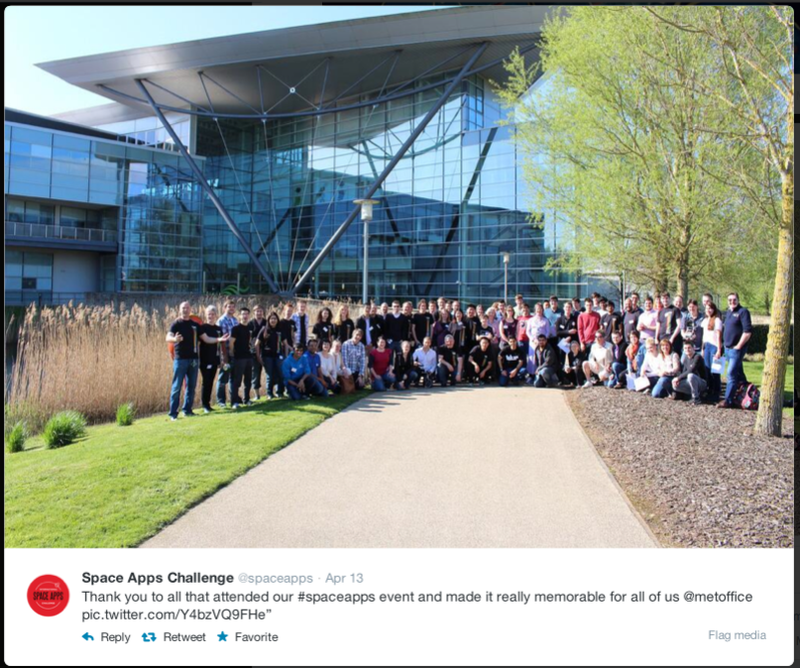 Teams created over 600 projects. 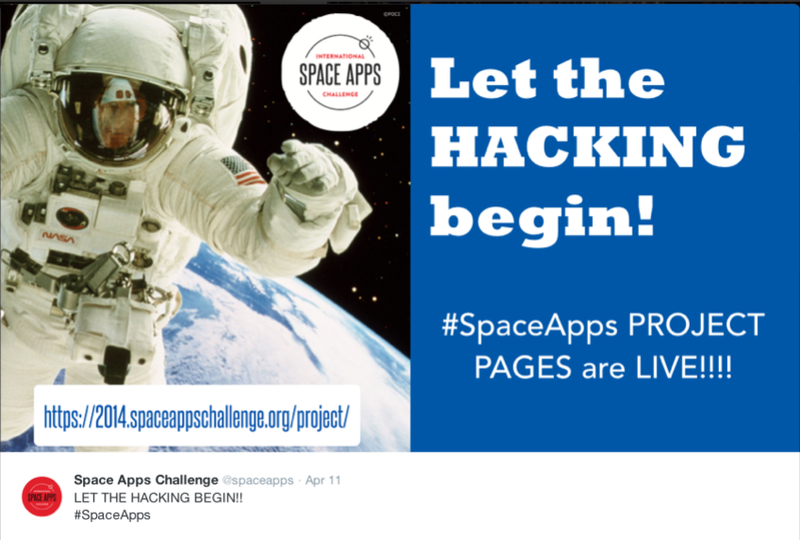 The most popular challenges were: Where on Earth, Exomars Rover is My Robot, Asteroid Prospector, Space Wearables, Alert-Alert, Growing Food for A Martian Table, Cool It, and SpaceT. Teams worked together to code software, build software, design mission profiles, and learn how to innovate in a collaborative environment. The solutions were creative, unique, and inspiring — all created in a compressed weekend of long days and short nights. Some of the locations took some time to look up into the skies. And that’s what space is all about, after all. Looking beyond the horizon and wondering, what if…. Teams have to pitch their projects to local judges on the final day. Two of the local winners can go forward from each location to global judging, as well as a People’s Choice nominee. Here are some of the winning teams. 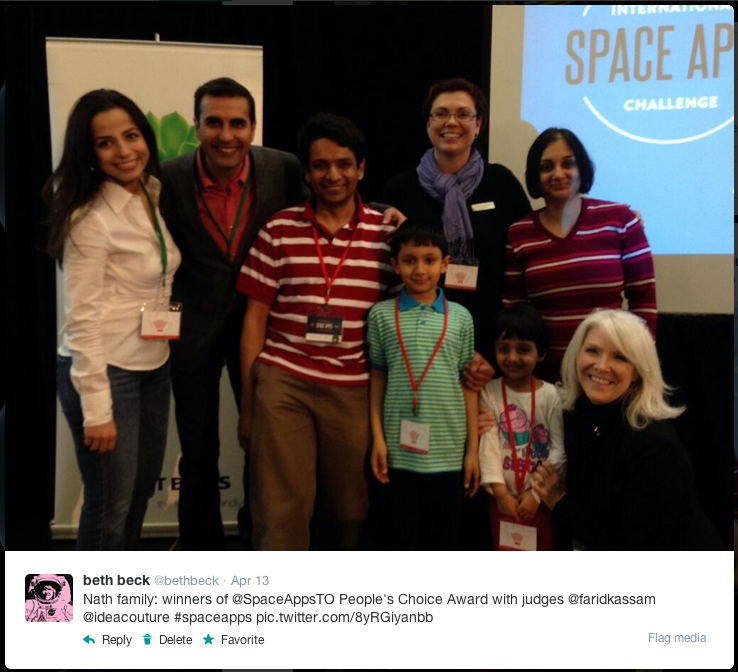 At Space Apps Toronto, I had the privilege of serving as a judge. What an incredible experience. Who can resist a Judges Selfie??? What overflows my heart is NASA’s boundLESSness — beyond borders and cultures. 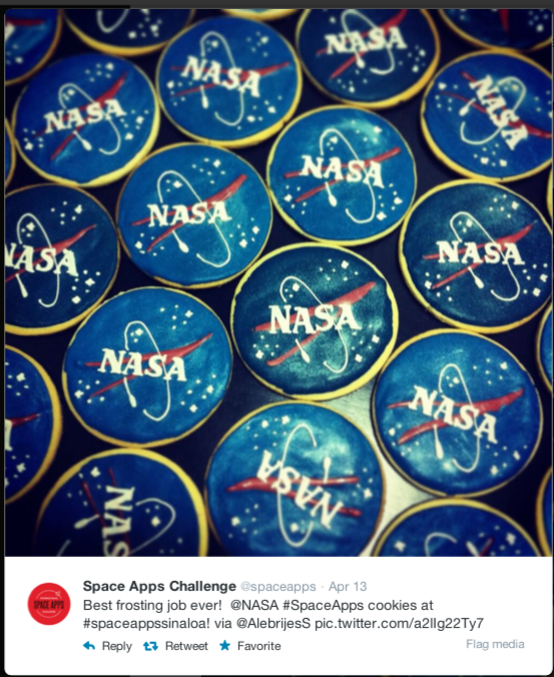 When NASA calls, global citizens, of all walks of life, answer. What an amazing thing to behold! 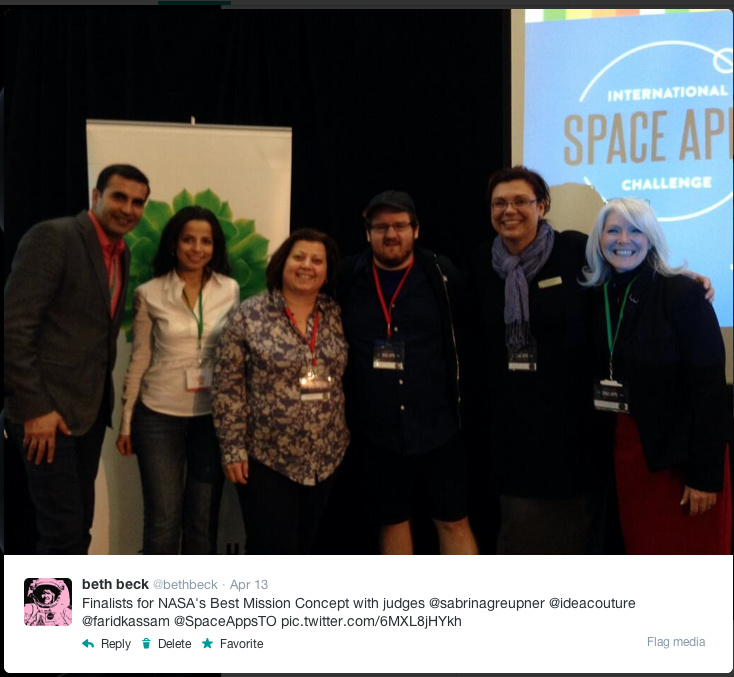 I’m humbled by the opportunity and privilege to serve the public through programs like Space Apps. Thank you ALL for an OUT-of-this-WORLD experience! !